Starting tomorrow, August 1st through the 31st, those of us joining Gintare over at Book Roast will be taking our N.E.W.T.s. I spent quite a bit of time planning out a tentative TBR based on the requirements for each subject that I will be trying to complete on my path to becoming a Librarian. I couldn’t find anything about the necessary grades to become a Librarian, but since most of the magical careers require at least an ‘E’ for “Exceeds Expectations” in most, if not all of the required subjects, that’s what I’m going to try for first. However, I have to achieve an ‘O’ for Outstanding in at least one subject to pass my N.E.W.T.s in general. That means, at a minimum, I’ll be attempting to read 11 books in August! Starting from April 2nd through the 29th, those of us willing to join Gintare over at Book Roast will be taking our O.W.L.s. It’s been a while since I’ve gotten excited about a reading challenge, but as soon as I saw this one, I knew I had to pull a Hermione and sit all 12 exams! I spent yesterday coming up with a tentative TBR based on the requirements for each subject and I chose the 5 I will complete first (bolded in the list below) so that I’ll be allowed to take the N.E.W.T.s for those subjects on my path to becoming a Librarian. Madam Pince has to retire at some point, right? Thank you for participating! It was lots of awesome Harry Potter fun! Harry Potter Book Night: A Night of Spells! For tonight, I’ll be going by my new name. Let me know in the comments or on Twitter what your new name is as well as the House you belong in (mine is Gryffindor), and don’t forget to use the official hashtag, #HarryPotterBookNight. If you need to be sorted, hop on over to Pottermore. Here are a bunch of ways to earn points for your House. You have until 8 pm CST to complete the various games, and I will announce the winning House, along with the individual winners of the scavenger hunt and Potion Masters contest at 9 pm CST tonight. Diagon Alley Scavenger Hunt: Fortified By Books has temporarily opened up shop in Diagon Alley, and to celebrate I’ve put 7 magical items on random pages and posts throughout the Fortified By Books blog! Each is worth 10 House points, and you’ll win an additional 30 points for your House for finding them all. Look very carefully for wizard coins, a copy of the Daily Prophet, the book cover of Fantastic Beasts and Where to Find Them, an owl, a wand (5 bonus House points to the first person who can tell me who the wand belongs to), a Chocolate Frog, and a broomstick. Can you find them all? Leave a comment on the page or post where you found each item and then leave a comment on this post to let me know you’ve found them all. Potion Masters: You have been asked to invent a new potion. In a comment, list up to five ingredients that it contains, what it does once taken, and a unique name for your newly invented potion. 1st place will get 100 House points, 2nd place will get 50, and 3rd place will get 25. All other participants will get 10 House points. Anyone who also provides what their potion looks and smells like will get 5 bonus points. Harry Potter Trivia Challenge: See if you can answer all 60 questions correctly to earn an O (Outstanding). G.N.O.M.E.S. : Take any, or all, of these quizzes, and for every one you answer all the questions correctly, you’ll earn 10 House points. Just share the results and then come back here and leave the link in a comment. Who Is Your Hogwarts Best Friend? Take this quiz to find out, and then share the results. All participants who come back here to leave their shared results link in a comment will earn 10 House points. Do You Remember the First Chapter of “Harry Potter”? : You’ll earn 10 House points for answering all the questions correctly, sharing the results, and then leaving the link in a comment. Harry Potter Polls: There are 5 polls you can vote in and then see the results. Free Downloads: Do you want some new Harry Potter wallpaper or maybe a new Twitter header or Facebook cover photo? Check these out. Harry Potter Recipes: Are you hungry after all those games and quizzes? Whip something up from this super long list of HP foods and snacks. This is going to be a great Harry Potter Book Night! Enjoy the games and fun links, and let me know what your favorite is, or if you’ve got any of your own Harry Potter Book Night links to share. This is it! We’ve come to the conclusion of the Harry Potter series, and, therefore, the end of my HP re-read. My eyes kept getting watery while reading this book, just as I suspected would happen. Those pesky allergies. We’re not completely done with all things Harry Potter, though. Oh, no. We’ve still got Harry Potter Book Night, A Night of Spells! Join me on February 4th to celebrate the series and the Boy Who Lived! There will be a post chalk full of links to games and other fun activities, and maybe a few of my own creation. I’ll also be on Twitter, using the official hashtag #HarryPotterBookNight. I’m kicking everything off at 5 pm Central Time (6 pm EST), and the party won’t be over until 9 pm. That’s FOUR HOURS OF AWESOME! Since this last book of the series causes all the feels, especially reading it after Alan Rickman passed away earlier this month, I’ve listed some less emotional but still interesting links after the discussion questions. How have the characters changed with each book in the series? How different or similar are Harry, Ron, and Hermione from when they started at Hogwarts? What about other characters? How has Dumbledore developed as a character in the series? What about Snape? Harry, Snape, and Voldemort’s histories have been linked from the beginning of the story. How did their early experiences and their choices in life shape their characters? How did reading the article about Rita Skeeter’s book on Dumbledore and parts of the book itself affect Harry’s feelings for Dumbledore? Why didn’t Dumbledore share certain parts of his past with Harry? Why is Harry disturbed when he learns at Bill and Fleur’s wedding that Dumbledore’s family lived in Godric’s Hollow? How did the Death Eaters gain control of the Ministry? How did they maintain that control? Compare the Death Eaters’ takeover of the Ministry to tyrannical regimes in history. Why does Slytherin’s locket affect the mood of whoever is wearing it? Do you think the locket affected Umbridge the same way? Is it the locket that causes Ron to desert Harry and Hermione? Why is it fitting that Ron is the one to destroy the locket? Compare Ron’s experience with the locket to the way in which Ginny is possessed by Tom Riddle’s diary in Harry Potter and the Chamber of Secrets. When Harry, Ron, and Hermione discuss which is the most important Hallow, they each choose a different one. What does this tell us about them? Why does Wormtail’s silver hand cause his death when Harry reminds him that he spared his life? Compare Wormtail’s death to Dobby’s death while saving Harry and his friends. When Harry reaches Hogwarts, he doesn’t want to involve the other students until Hermione tells him, “You don’t have to do everything alone.” Compare Harry’s response to Tom Riddle who confided in no one and worked alone. What is the most important thing Harry learned from Severus Snape’s memories? Why was it important for Snape to share them with Harry? By using the Pensieve, Harry discovered Snape’s love for Lily Potter and the truth about Snape’s relationships with Voldemort and Dumbledore. What does the epilogue reveal about Harry’s final judgement of Snape? Harry gets confused between real events and his imagination, but Dumbledore tells him, “Of course it is happening inside your head, Harry, but why on earth should that mean it is not real?” Could this be used as a comment on fiction in general? How real does the world of Harry Potter feel to you? What makes this series so believable? What insights has Harry gained during his quest to destroy Voldemort in this book and throughout the series that makes him a real hero? 19 Books To Read If You Loved The “Harry Potter” Series – I’ve read 6 of the books/series on this list, and most of the rest are either on my TBR or my wishlist. My plan after Feel the Paper Love February is to start The Magicians by Lev Grossman (I have the ebook). 12 Books to Read if You Liked Harry Potter – There is a little bit of an overlap with the list above, but here are several more I’ll be checking out at some point. 13 Stories to Help Fill the Harry Potter Void – Again, there’s a bit of an overlap, but I think that is telling of the awesomeness of these books. Hogwarts Online – Have you always wanted to go to Hogwarts, but now you’re a little too old to study along with all those ten year old first years? Take your courses online! 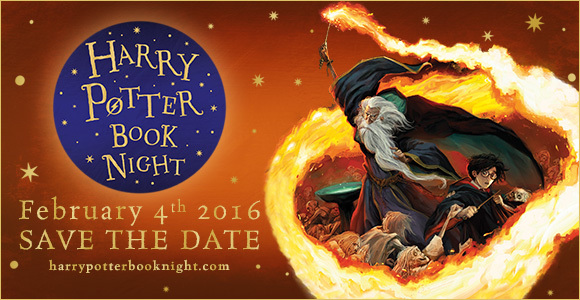 Will you be joining me for #HarryPotterBookNight? Let me know in the comments below and feel free to share any of your Harry Potter-related posts as well! First David Bowie, who, while he was more involved in music and film than literature, played one of my favorite characters in Labyrinth, a movie that celebrates Fantasy and stories. Now Alan Rickman, a man who played a role in several of my favorite movies, many of which were adaptations of well-loved books. 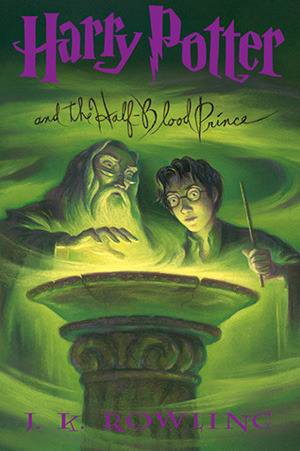 As many of you already know, I happen to be re-reading one of those books right now as part of my Harry Potter Re-Read. After the range of emotions I’ve gone through since I read the horrible news this morning of Rickman’s passing, I don’t even know how I’m going to handle Snape’s death in Harry Potter and the Deathly Hallows. I’m also not sure if I’ll be able to re-watch the movies for a while. While Severus was never one of my favorite characters, more someone I loved to hate throughout most of the series, I do remember feeling that he redeemed himself through his actions in the final book and movies, and as much as I wanted to continue to despise him, I couldn’t. J.K. Rowling and Alan Rickman showed me that nothing is black and white, especially human beings. Grief is also complex. To My Harry Potter Family, Re: Alan Rickman – This open letter by Michelle over at The Tipsy Verse helped me realize that it’s ok to grieve someone I’ve never met. J.K. Rowling and Harry Potter Stars Honor Alan Rickman – After you’re done reading Michelle’s open letter, feel free to let it all out while you read this. We Will Remember Alan Rickman, Always – Heartfelt and personal, I don’t think I could have said what Katy Rochelle writes at Potter Talk any better. It’s the last day of the year, and most of the bloggers I follow have been posting annual recaps. I won’t be recapping my whole year, but I did decide to share some ways to celebrate, Harry Potter style. Below is a list of past Harry Potter-related posts and links I enjoyed throughout 2015 as well as ideas for throwing a Harry Potter themed New Year’s Eve party. Harry Potter Name Generator – Need a name for your Hogwarts Online account? Put your information into the name generator. The Harry Potter Lexicon – Check this site out for all your Harry Potter-related questions. Four Tips for a Harry Potter Movie Marathon – An HP movie marathon is a great idea for a party, but only if you plan ahead. 42 Insane Harry Potter Tattoos Only Muggles Would Hate – While I don’t love all of these, they’re all beautiful, and I now have a couple of ideas for a tattoo I might get some day. 21 “Harry Potter” Temporary Tattoos That Every Fan Will Love – For those of you who don’t want to get permanent ink. I Ship It – This short film isn’t specifically about Harry Potter, but there are references galore and a Wizard Rock Battle of the Bands. Wizardcraft: Cross-Stitch Your Hogwarts House Badge – Throw a crafting party and have everyone make their own House badges. Pumpkin Pasties – Here’s a recipe and a free print-out to make and package pumpkin pasties. Food In Literature has several other recipes inspired by the series as well. Quidditch Pong – No New Year’s Eve party would be complete without some type of drinking game. Whether you’re using your favorite adult beverage, plain water (hydration is important, people), or Butter Beer, you can’t go wrong with a game of Quidditch Pong. This is the last link-up, so be sure to share your HP-related posts before January 28th for your chance to be featured in next month’s discussion post! Welcome to the fifth month of the Harry Potter re-read! Each month I’ll be reading a book from the series, in order, until Harry Potter Book Night on February 4th. Also, each month’s discussion includes a link-up for all your lovely HP related posts, and I’ll feature one or more of them from the previous month’s link-up. This month, check out L.C.’s “Confession from Someone Still Waiting for Their Hogwarts Letter”. Don’t forget to add your links to the link-up at the end of the discussion questions! Though Hermione formed S.P.E.W. in the last book, HP and the Goblet of Fire, she continues to plan and enact projects to help the house-elves gain their freedom. She makes and leaves for the elves to find various items of clothing, despite everyone’s, including the elves, insistence that they don’t want to be free. Do you think the elves really don’t want freedom and Hermione is wrong to continue trying to force freedom on the elves? Or, do you think Hermione is right and should continue her work? We never get a solid explanation for why Professor Umbridge is so hateful towards most of the students. Do you think it’s only because of her support of Cornelius Fudge and the belief that Dumbledore is attempting to overthrow him? Or, do you think there is more to it than that? Harry is shocked to discover that his Dad was a bit of a bully, at least towards Professor Snape. However, Harry’s thoughts concerning Draco suggest that, given the opportunity, he might take similar action. Though Sirius and Lupin don’t go into detail about Professor Snape’s behavior as a teenager, do you think he is the way he is because he was bullied? Or, do you think he was like Draco, and the bullying he received was retaliation? Dumbledore expresses his regret over not telling Harry the truth because of Harry’s age. Do you think this is J.K. Rowling’s response to some of the adult criticism of her books, particularly HP and the Goblet of Fire, for including death and other dark subjects in the storyline? Do you think the Fountain of Magical Brethren shows a parallel between Wizards’ and Witches’ feeling of superiority and European Exceptionalism? Do you think Dumbledore’s words about the statue being a lie and how the mistreatment of others is the root of what is happening now is J.K. Rowling’s message to her readers that much of the pain and suffering in the world today is a result of Europe’s past treatment of non-Europeans? Do you have a Harry Potter related post? Share it for the chance to be featured in next month’s discussion! Since it’s Banned Books Week, I’d like to take a break from the usual discussion to share with you some of the many challenges, bannings, and burnings of the Harry Potter books. Before we get to that, though, this month’s featured post is about how Shaina @ Shaina Reads almost didn’t read the series. Check it out to find out why and then add your own Harry Potter related posts to the link-up for your chance to be featured in next month’s discussion post. Saginaw, Michigan – Bruckner Elementary School became the first school in the United States to remove Harry Potter from the classroom. A parent complained, “the books are based on sorcery, which is an abomination to the Lord…I read a couple of chapters and felt like God didn’t want me reading it.” The school’s principal decided to ban the books from being read in class. Zeeland, Michigan – School Superintendent Gary L. Feenstra directed school librarians to remove Harry Potter and the Sorcerer’s Stone from the shelves. Later, he decided not to ban the book but restricted it by requiring students to have parental permission to check it out. Bend, Oregon – Parents asked school officials to ban the series from the district’s schools, stating the books referred to witchcraft and divination and would lead children to hatred and rebellion. The school superintendent rejected the request and stated the parents couldn’t determine the reading materials for all of the students. Band-La Pine, Oregon – Parents requested that the school board ban the series, stating it “threatened the fundamental morality of students.” The school board voted to keep the books. Salamanca, New York – The school board voted to keep the series in the elementary school libraries after parents complained about the dark themes in the books. Santa Fe, Texas – School principles voted to require written permission from parents before students were allowed to check out any of the books in the series. Arab, Alabama – A parent requested the Board of Education remove the series from school libraries and stated she was speaking on behalf of other Christians. She also stated that J. K. Rowling was a member of the occult, and the books encourage children to practice witchcraft. “It was a mistake years ago to take prayer out of the schools because it let Satan in. We need to put God back in the schools and throw the Harry Potter books out.” The school board voted to keep the books in the schools. Rural, Pennsylvania – A burning of the Harry Potter books was conducted by a church. Oskaloosa, Kansas – The Public Library canceled a Summer storytelling event after residents became concerned about their children being taught witchcraft. Alamogordo, New Mexico – a church burned copies of the books. Cedarville, Arkansas – Angie Haney filed a formal complaint with the Cedarville School District in June of 2002. In her complaint, she stated the books were objectionable because they teach children “parents/teachers/rules are stupid or are something to be ignored. That magic will solve your problems. That there are good witches and good magic.” The books were restricted and could only be checked out by students with parental permission. The district court later overturned the school board’s decision, noting that the school board couldn’t restrict students’ right to read a book on the grounds of disagreeing with its contents. Lewiston, Maine – A ceremonial shredding of copies of Harry Potter and the Chamber of Secrets was conducted the night before the film adaptation was released. The group had already done a book shredding in 2001 before the film adaptation of Harry Potter and the Sorcerer’s Stone was released. The group originally wanted to burn the books, but city officials refused to grant the necessary burning permit. Gwinnett County, Georgia – A parent claimed the novels were an evil attempt to “indoctrinate children in pagan religion” and should be removed from the schools. Despite not having read the books, she also stated the books were full of “evil themes, witchcraft, demonic activity, murder, evil blood sacrifice, spells.” and, “I don’t agree with what’s in them. I don’t have to read an entire pornographic magazine to know it’s obscene.” She told the school board that she wanted “to protect children from evil, not fill their minds with it. The ‘Harry Potter’ books teach children and adults that witchcraft is OK for children.” She also suggested the books be replaced by C. S. Lewis’s “Chronicles of Narnia” or Tim LaHaye’s “Left Behind: The Kids” series. She appealed to the Georgia state Board of Education after the school board rejected her request. After the Board of Education upheld the school board’s decision, she took the case to a state court, which also upheld the decision. She then threatened to take the case to federal court.